Brian, a co-founder, has worked in the financial service industry since 1998. 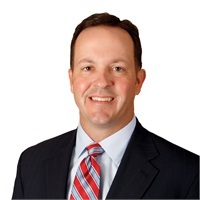 He has previous experience working with Prudential, Edward Jones, and LPL Financial. He is a graduate of both Walters State and Tusculum College and has lived in Greeneville since 1976. Brian received his Certified Financial Planner designation in 2005 from The College of Financial Planning. He has been married to Holly Click for over 20 years and they have four daughters. In his spare time he enjoys traveling, golfing, and coaching his daughters in various sports.